Supervoid is One of the Largest Structures in the Known Universe. What Is It? Some of the most intriguing cosmological mysteries don’t involve strange objects like black holes or neutron stars. The best mysteries may not even affect our everyday lives, or leave gaping holes in our scientific models (*ahem* dark energy). 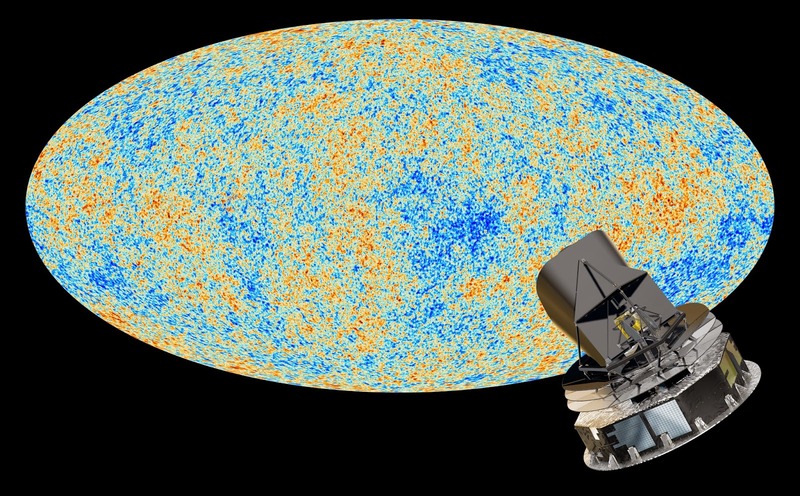 In studying the map, astronomers noted that, around 10 billion light-year away, toward the constellation of Eridanus, the CMB shows evidence of an unusually large cold spot. To explain why this portion of space has a slight —yet discernible—temperature difference, astronomers ascribe the cold spot to a void. Not just any void, but the largest in existence by far—stretching out about one billion light-years in diameter. They postulate that the cold spot was created when the microwaves from the CMB pass through a huge void on their way toward Earth. We already know that the voids can have an effect on microwaves that pass through them—just as they are when they pass through dense galaxy superclusters, except with the opposite effect. Basically, when they traverse denser regions—places teeming with traditional and nontraditional matter—the microwaves gain energy from the pull of gravity. Whereas, when they pass through a void, gravity doesn’t impart any extra energy on them, for gravity is a consequence of matter, and how it warps the fabric of spacetime. Ergo, the CMBR appears cooler. However, the supervoid solution comes with a major problem: standard cosmology models say such a huge void should not be possible. Not everyone thinks the cold spot is a void. For instance, one researcher believes it may be an imprint of another universe, which would belong to a larger multiverse. Laura Mersini-Houghton, the leading proponent of this theory, has suggested that this region came about through a form of quantum entanglement—spooky action at a distance, as Einstein called it— that occurred between our universe and the parallel universe prior to their separation (perhaps during inflation). It’s interesting to note that if this hypothesis holds up, there would be evidence in the form of a “mirror” supervoid located in the opposite hemisphere. Strangely enough, in 2009, a void that seems to fit the bill was discovered in the southern hemisphere. However, it might be of little consequence, being that there is no consensus on exactly where this mirror void should be. Another theory (one that is is admittedly absurd), was proposed by Lawrence Rudnick (from the University of Minnesota). He puts forth the notion that the Eridanus void is not a conventional void at all, but a ‘universe-in-mass’ black hole that consumed all matter in its vicinity. Furthermore, he and his team believe that dark energy, the force responsible for the accelerating expansion of the universe, is but an illusion brought on by the gravitational effects of an immensely large—not to mention, very powerful—black hole that lies at the very edge of our observable universe. Of course, perhaps the cold spot isn’t a void at all. For that matter, there’s a chance the cold spot itself never existed in the first place (though new research suggests that’s unlikely). Either or, these structures are fascinating. Quoth the Raven, Nevermore? Hardly.